'[Government] is imposing restrictions on growth. It is unacceptable,' says a Finance Professor at the University of Ghana. Professor Godfred Alufar Bokpin, an Economist and Professor of Finance at the University of Ghana and IMANI fellow said foreign investors are benefiting but we are lacking. “Growth is driven by internal sectors and job creation, " he stated. But of all the issues rattling Ghana’s economy – even more than the cedi, which is currently being eaten alive by the dollar – resource allocation has been the country’s biggest challenge. This year, Ghana is hoping to generate 45 billion cedis through tax revenue, but we will fail to maintain those funds if the government spends it similarly to how it spent revenue last year, he insisted. Twenty-three billion cedis went to wages and salaries alone. Eighteen billion went to debt management. Capital spending? Eight billion. 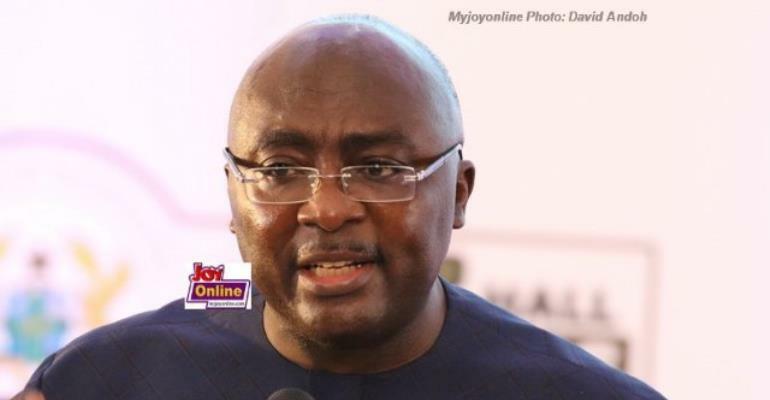 However, at Wednesday’s town hall meeting, Bawumia applauded his economic team for exceeding sub-Saharan Africa’s economic growth rate. He boasted that the country’s GDP rate was robust and mentioned that non-oil growth has increased from 4.6% - 5.8%, increasing the per capita income to GH¢9864 – 30% higher than in 2016.